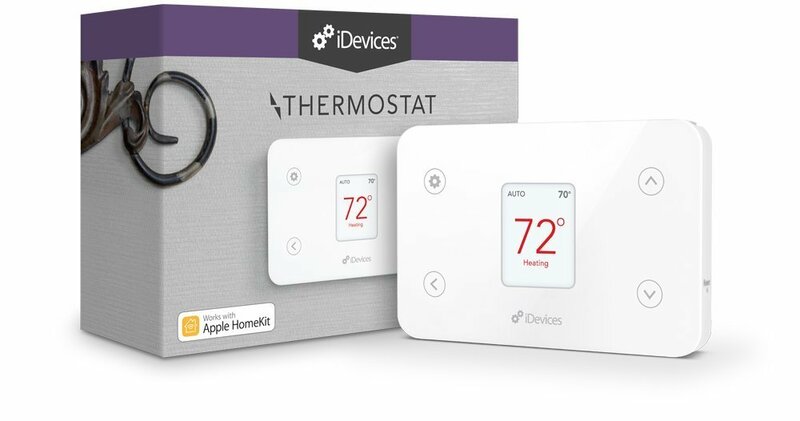 Control the temperature of your home from wherever you are with the iDevices Thermostat and iDevices Connected app. Ask Alexa or Siri to adjust the temperature and create custom schedules to fit your daily routine with your iPhone or Android device. It’s good if you want a basic thermostat that you can control on your phone. First impressions was not great as it is a pain to install. Physically installing is not so bad but the application side will force you to go through hoops to have it work with everything. However, once you’re done with the set-up it works very well standalone or with smart home apps/devices. The app is ok, it’ll let you control the usual but doesn’t have a lot of advanced features other competitors have, like geoforcing or environment learning. I’d argue the best thing about the product is the price. 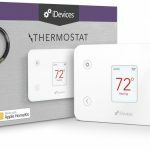 If you’re interested in trying out smart thermostats and looking for something basic this product is a good starting point. If your home has a complex ecosystem with a bunch of smart features that are all connected it probably won’t work with everything besides the leading brands, Homekit/Google Home/Amazon. Apple is still adding compatibility and updating the device so there might be more to the thermostat in the future. Well, I had a bit trouble setting it up, but other than that it’s been just what I wanted. It works with all my home apps and stuff. It’s definitely not perfect, but worth the asking price! Installed it and it stopped working two months later. Ran various tests, couldn’t fix it. Emailed the company, they replied once but then never again. Wouldn’t recommend. Great price, easy installation, works great with Siri & Alexa. Was able to use the same mounting screws from my previous thermostat – very nice for my apartment. Would recommend. I had a tiny bit of trouble with the set up, but was able to figure it out in the end. It was mind blowing to be able to control our home temp remotely! Have had a great experience with iDevices so far. It works well with our heating and cooling systems and when I had trouble with the set up the customer support was very good.